Published: February 18, 2018 • Modified: November 5, 2018 • by Author: Analida • Word count:785 words. • About 4 minutes to read this article. Are you looking for a hearty vegetarian soup that will put “meat” on your bones? 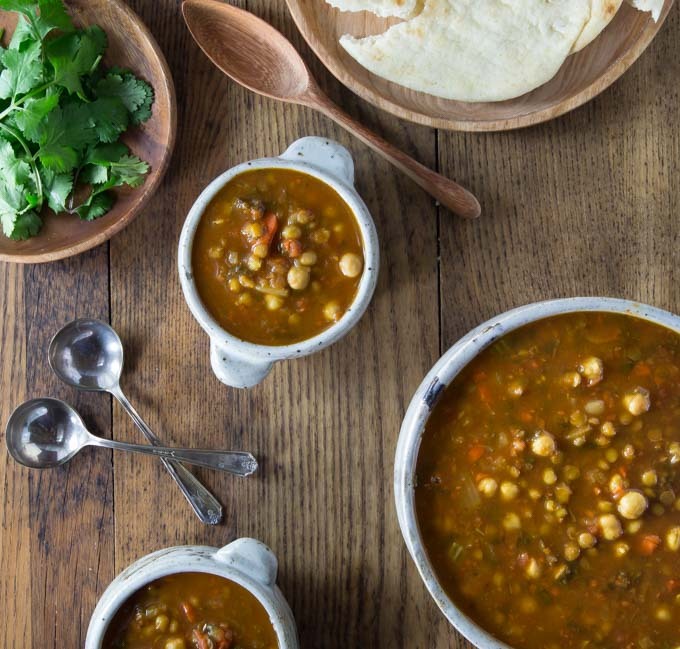 Then this Moroccan chickpea and lentil soup (Harira) is just for you. This hearty and easy to make soup is perfect for the cold winter days we are having here in the north. Although I have never made it in a slow cooker, I am sure it is quite adaptable. Either way, your house will smell wonderful when this soup is cooking. One adaptation is the use of lamb. You see, according to a student from Morocco who attends the university where I work, this is a typical dish to eat during Ramadan. It is what you eat at sunset to break the fast. When you dig into a bowl of this Moroccan chickpea and lentil soup (Harira) you won’t need anything else. It’s that satisfying. 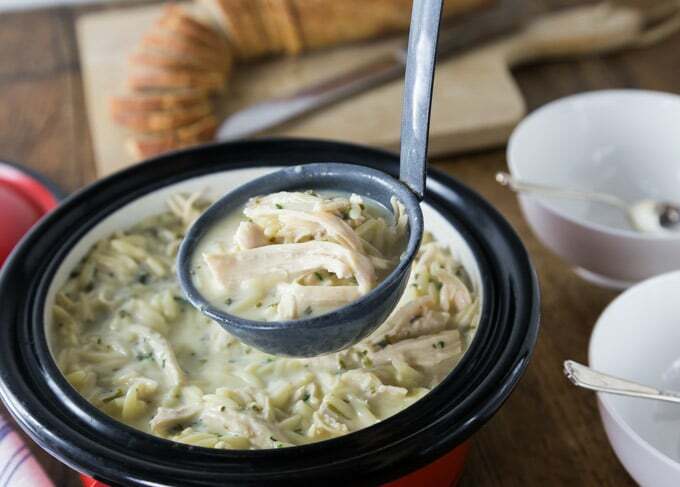 This soup reheats beautifully, and also freezes well. Now, if you want to be 100% authentic, then you need to use dry chickpeas that have been soaked overnight. The cooking time will be longer though. For this recipe, I was in a bit of a hurry, so I used canned chickpeas. Make sure you drain and rinse them. For the lentils, I did use dry lentils because they don’t take too long to cook. Now, given the rich taste and aroma, you’d think that this recipe uses tons of spices. Not so! Turmeric, cumin, paprika, and a dash of cinnamon. That’s it. The cinnamon is not as strange as it sounds; it gives an incredible depth to the already rich flavors in this soup. 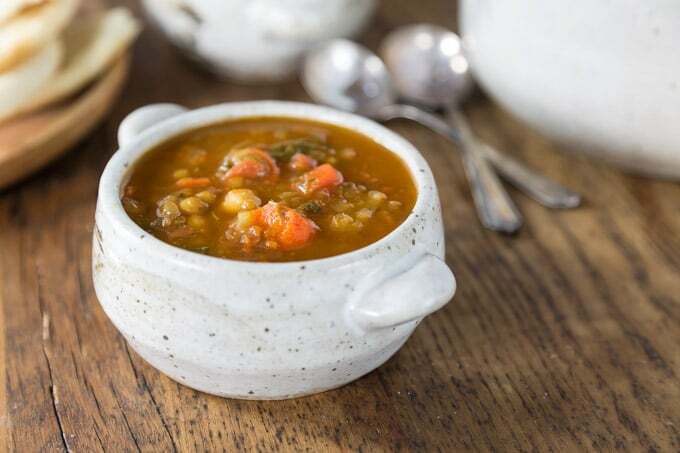 Apart from its incredible flavors, this Moroccan chickpea and lentil soup (Harira) is VERY healthy. 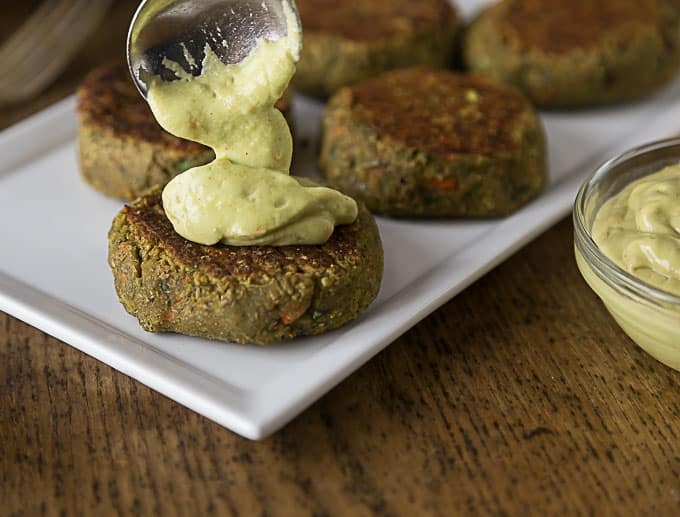 It is packed with protein that comes from the chickpeas, and iron that comes from the lentils. Both chickpeas and lentils have been around for millennia. Chickpeas have been cultivated since around 3,000 B.C. Like many of the foods we know today, they originated in the Fertile Crescent. From there they spread to India, Africa, and Egypt. Eventually they made their way to Europe where they were a favorite of the ancient Roman diet. Lentils, like chickpeas, are an ancient crop. Actually they are even older, with the oldest record of cultivation dating back to around 5,500-5,000 BC. Lentils were a valuable crop because they made up for the protein needs which could not be obtained from cereals. The lowly parsley which is often relegated to the job of garnish is also rich in nutrients. This is worth mentioning since there is 1/2 cup of this herb in this recipe. Parsley is rich in vitamin C and iron. Here’s a culinary tip: I mix all the spices together, and then, also the herbs (separate dishes). Especially with the spices, I find that they mix more evenly. Make a batch of Moroccan chickpea and lentil soup (harira) and share the recipe with your friends. style chicken that you can easily make in a slow cooker. The Moroccan chicken tagine has a nice balance of sweet and savory flavors with apricots, an exotic spice blend and topped with sliced potato. Another tagine dish to try is Moroccan saffron chicken with savory delicate flavors. Moroccan country bread or khobz maghribi is a simple bread that is traditionally used as a utensil to soak up all the wonderful juices of those tasty tagine dishes. 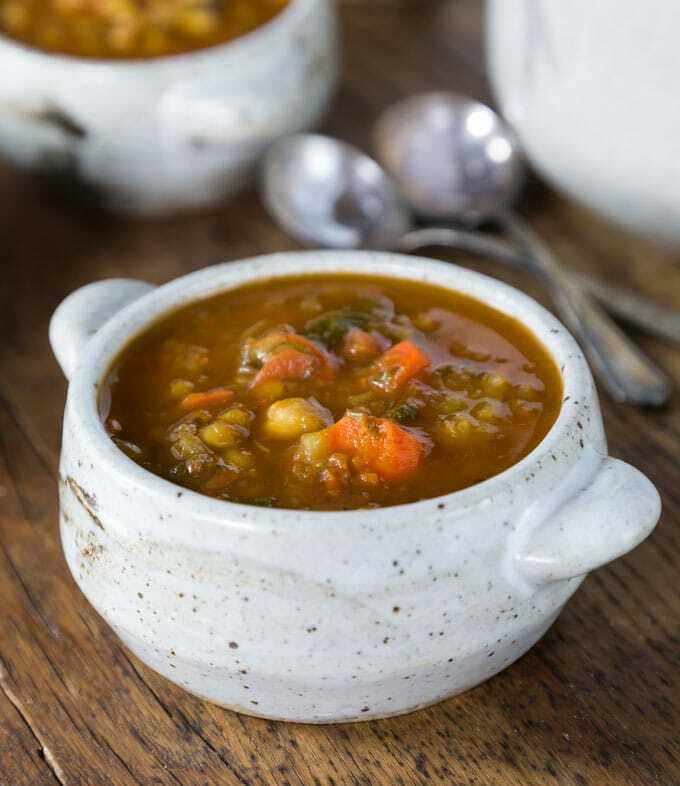 This Moroccan chickpea and lentil soup (harira) is hearty and delicious. You can adapt it to make it vegan by substituting the chicken broth for vegetable broth. Turmeric, cumin, and paprika are the main spices. A dash of cinnamon adds incredible depth. Place all the spices in a small bowl and mix thoroughly. In a soup pot heat the olive oil on medium Sauté the onions, carrots, and celery until onions are translucent. Sprinkle with cornstarch and stir a few times. Sprinkle the spice mixture, and stir. Add the vegetable and chicken broth. Using an immersion blender, break up the solids a little bit, but not too much. Bring the liquid to a boil, then add the parsley, cilantro, chickpeas, lentils, and crushed tomatoes. Turn heat down to medium, and cook for 25 minutes. I just made the Moroccan and Chickpea soup. It was absolutely delicious and perfect on a cold evening. Thank you for sharing such a delicious recipe. Really luscious soup — even right out of the pot. The lentils added that desirable thickness, and the carrots added sweetness. Perfectly seasoned, incredibly aromatic. The leftovers are coming out of the freezer on Saturday for company — it was THAT good. Thanks so much for your kind comment Lizzie. You are right, it is so aromatic. Glad you are serving some to your company! 🙂 Now you know you can make another batch and freeze! I will be doing that soon. I made this for dinner tonight and we really enjoyed it! I used my electric pressure cooker, on soup mode, but otherwise made it as directed. I’ve already shared the recipe with my daughters, who are health conscious cooks. This recipe is definitely a keeper! 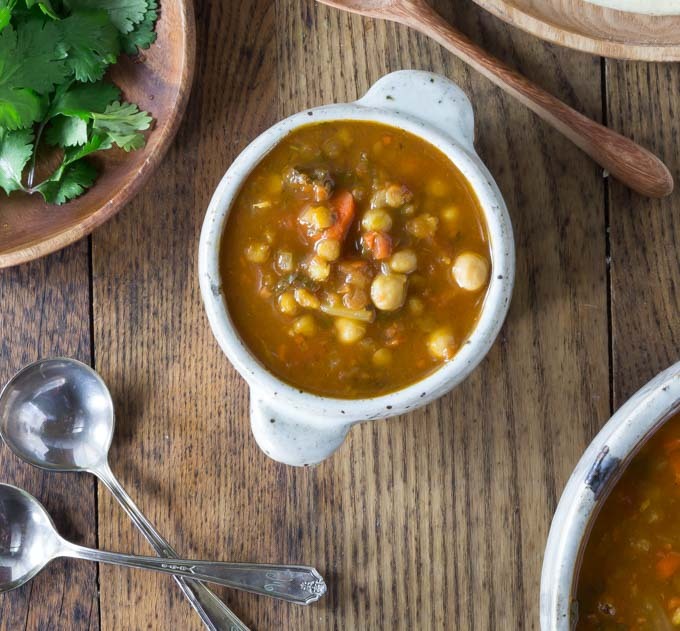 This Moroccan chickpea and lentil soup looks outstanding. My sister used to make Moroccan food all the time but I haven’t had it in ages!! I’m definitely going to try your delicious soup! Love the crocks too! The combination of spices in this is so warming and wonderful. I’m going to be making this on repeat all winter long! Such beautiful photography too! 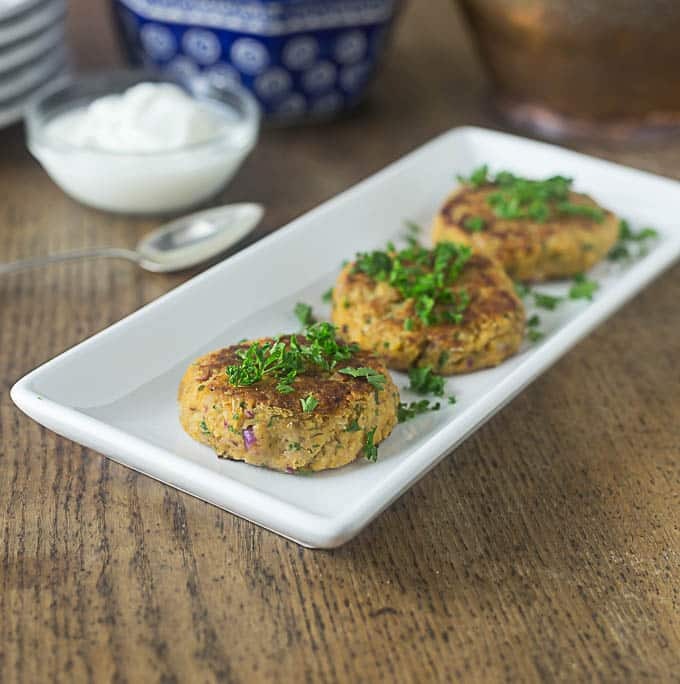 LOVE Moroccan flavours….and chickpeas. This sounds like the perfect bowl of soup for a chilly day….which are just around the corner. I can imagine the aroma….so good. Forgot to leave a rating because this looks delish! I agree that this will still be perfect when cook in a slow cooker. The photos are too good looking. I want to slurp soup through the scree. Love it. OHHH This soup looks so tasty!!! I am always looking for new soup recipes! This one is very easy to make and is also very healthy! Thanks! 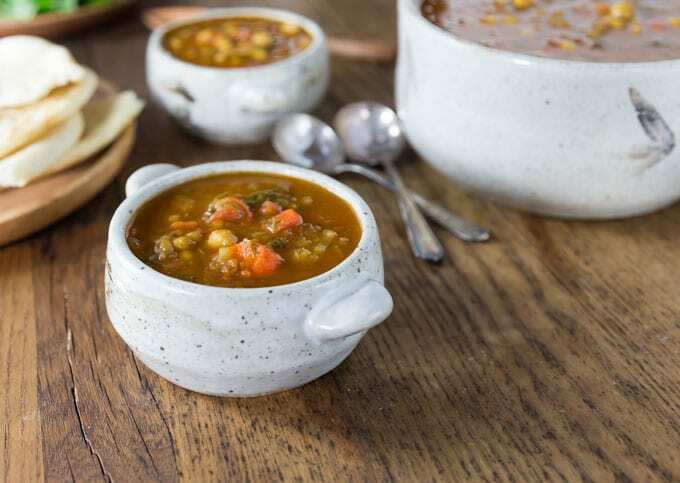 My husband and I have really gotten into chickpea and lentil dishes lately, so I’m sure we’d absolutely adore this one soup. We’re definitely going to have to give it a try! I love every single ingredient in this soup!! LOVE! I”m printing it off as we speak! 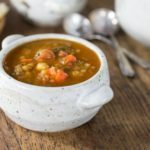 It is the perfect soup for fall and I need a new soup to try this fall! Thank you for posting this! This is a great soup to make and is very healthy also! Thanks! It’s nice and chilly here in New England and this looks absolutely perfect!! A great warm-up that’s full of flavor! This is one of those soup recipes I keep coming back to make over and over again. This sounds amazing!!! I love that it’s vegetarian but I’m also in love with the array of spices. Ahh so good! Moroccan spices are so rich and have a nice depth! I love using canned chickpeas as a shortcut ingredient. This looks like such a great, comforting weeknight meal. Perfect for fall! Yes! Who has time to soak chickpeas when you need to make a quick soup! Thanks! I love the warm spices in Moroccan dishes like this one. This looks like a really delicious soup for cooler weather! This is a great hearty soup for winter and very healthy! Thanks Holly! What a hearty and comforting dish! It looks so warming and flavorful, great for upcoming long winter nights. This is a one of our family favorite soups! I am in for this soup, with an array of spices this soup sounds so hearty and comforting. Perfect for coming winter days.